What would you say if your son or daughter asked you the following question: “If God is all-powerful and all-loving, why is there so much evil in the world? Is God unable to stop it? Is He unwilling?” Or, how about this question: “If God is the creator of everything, who created God?” These are common questions asked by skeptics and believers alike. Are you ready to answer them in a meaningful, reasonable way? If not, don’t feel bad, most Christian parents feel under-equipped to answer difficult objections to Christianity. Let that kind of anxiety motivate you to learn alongside your kids. You don’t have to be an expert to lead your kids to the truth. In fact, you only need to be a few steps ahead of them. 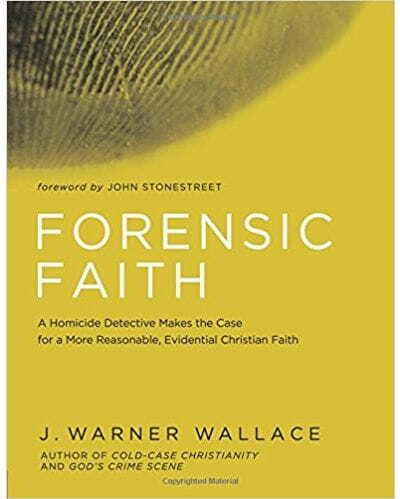 Cold-Case Christianity for Kidsand God’s Crime Scene for Kids were written for children, with their parents in mind. You can learn from these books as your kids examine the evidence for God’s existence and the truth of Christianity. If you want to learn more, the adult versions of these books parallel the kid’s books chapter by chapter. Investigate about the evidence for Christianity, learn how to make the case for what is true, and do it alongside your kids. If you’re like me, your friends and family already know what your passionate about. Why? Because I bet you talk about it whenever you get the chance. All of us do this; our conversations at dinner, while driving in the car, or even while walking the dog, give away what really matters to us. If you’ve passionately adopted a reasoned, rational approach to your faith, odds are good you’ll start sharing this interest with your kids during these moments of conversation. You can’t force this; it just happens. So, if you really want to help your kids develop a strong, confident faith, you can be intentional and create opportunities, especially as your kids approach their teen years. My friend, Natasha Crain, has written a number of books to help you engage your kids in conversations about God. They are fantastic. Be passionate, take advantage of opportunities and resources like these, and speak up. Talk with your kids about the stuff that matters most. As parents, we need all the help we can get. I’m not suggesting you should relinquish your responsibility to prepare your kids, but I do recognize the value of relevant mentors in the lives of my children. Back when I was a youth pastor (and my kids were part of my ministry), I paired my sons with a young man, Tim, who I came to trust as a leader. He is nearly twenty years younger than I am, and he is much more culturally relevant. My sons love him and respect his musical ability and his athleticism. He shares my Christian worldview and my passion for case making, but is a much cooler version of me. Over the years, Tim has often echoed my thoughts and beliefs, and there were times when my sons seemed to embrace these ideas more readily when they came from him, rather than me. Identify relevant mentors, introduce your kids to thoughtful role models, and do whatever it takes to keep them connected. Place reasonable, devoted believers alongside your kids. Most of us can remember a pivotal moment in our young lives as Christians; a moment when someone said something incredibly significant, or an occasion when we experienced something transformational. These moments often happen by accident, but they don’t have to. As parents, we can facilitate these kinds of moments and experiences for our kids. Sometimes it’s a missions trip. I’ve been taking “case making” missions trips for many years, and the kids who attend these excursions always describe them as transformational. Summit Worldview Conference is also an important resource for parents. As a member of the faculty there, I’ve seen what happens in this intensive two-week worldview training experience. It is nothing short of life changing. I cannot recommend it highly enough. Look for opportunities, prioritize your calendar, and encourage your kids to engage in a short-term, high intensity adventure. Come alongside your kids to help them have a pivotal moment. 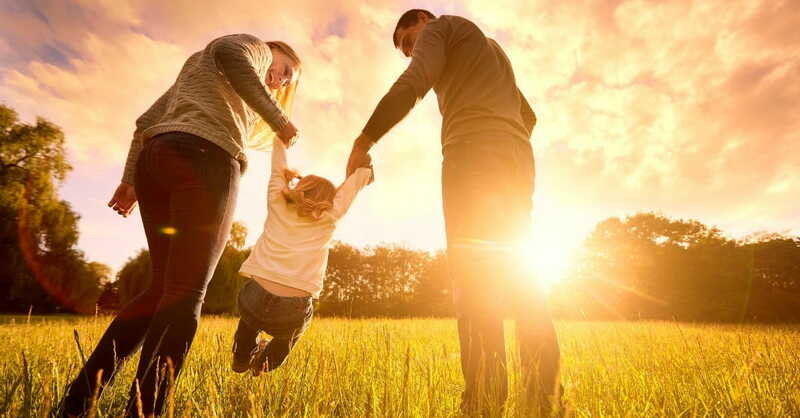 As my wife, Susie, and I thought about our journey as Christian parents, we sensed a calling to provide resources to help other parents teach their kids good thinking skills as they examined the case for Jesus. So we wrote Cold-Case Christianity for Kidsand God’s Crime Scene for Kids. Our own experience as youth leaders and pastors taught us that young people begin to question their faith in junior high. We wanted to provide a resource that would answer critical questions kids might have before they even begin to ask them. I hope our kids books will help you prepare your own children so you can provide them with answers to encourage them, develop opportunities to talk with them, find mentors to guide them and create experiences to remind them.